Below are listed some of the recent settlements and verdicts our attorneys have obtained for clients. When considering these listed results it is important to understand that each case is different. Outcomes will vary depending on the facts of each case. Also, it should also be noted that many large settlements are made by defendants only if confidentiality is attached to them. Thus, some of our largest settlements cannot be listed on this page due to confidentiality agreements with the settling defendants. Verdicts and Settlements: $40,000,000 in Traumatic Brain Injury verdicts and settlements since 2012. Verdict: $2,529,229 against a Louisiana university who forced basketball players to run in the August heat causing a heat stroke. Verdict: $1,427,281 against physician for malpractice relating to a hysteroscopy procedure that resulted in death. Recovery: $4,661,333.00 verdict for an injured truck driver who sustained a mild traumatic brain injury. Recovery: $6,000,000 verdict for a physician injured in a slip and fall accident causing problems to his hips and back. Recovery: $1,100,000; Our Clients’ Mother sustained severe brain damage and ultimately died as a result of a physician’s failure to monitor her during transportation from the operating room to the Intensive Care Unit. Recovery: $2,600,000.00 Our client suffered amputation of both legs, a stroke, and blindness in one eye as a result of an infection which was not treated timely. Recovery: $1,370,000.00 verdict for the husband of a 25 year old woman who died on Kidney dialysis because she was not given a needed blood transfusion. Recovery: $2,060,000.00 for a client who suffered multiple brain surgeries as a result of a brain infection which was not timely diagnosed by his physicians. Amount included a lump sum payment of medical expenses above Louisiana’s cap on damages. 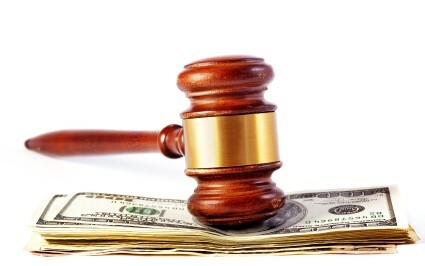 Recovery: $1,300,000 for a client whose husband was killed due to a defective tire. Recovery: $750,000 for a client who sustained injuries to her lower back which required multiple surgeries.